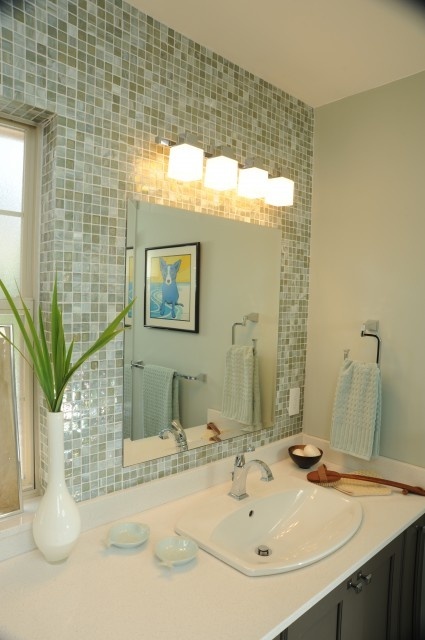 The usage of mosaic tile is very wide. 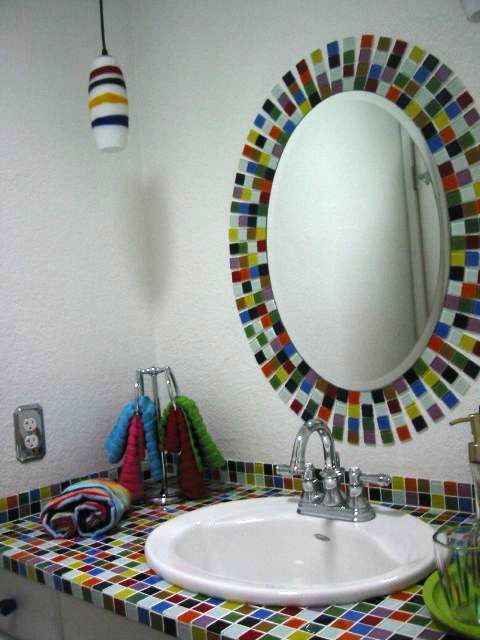 It can be used as a main pattern of the design or as a strong means of emphasizing a particular area in a room. 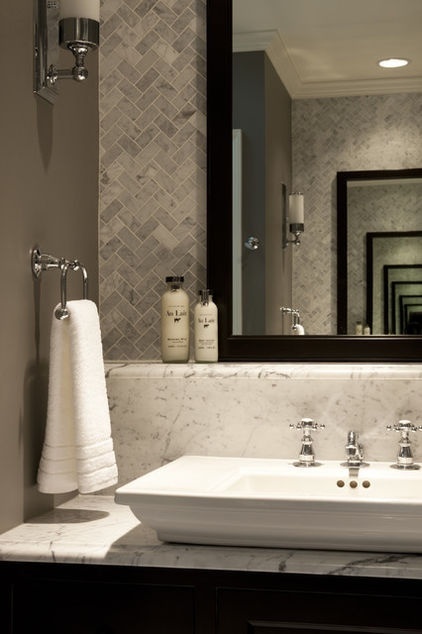 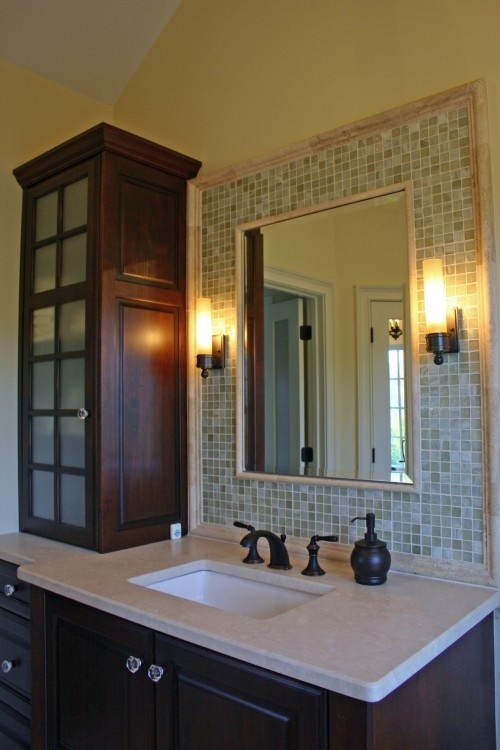 It becomes more common to lay an emphasis on the washbasin and a mirror in a bathroom. 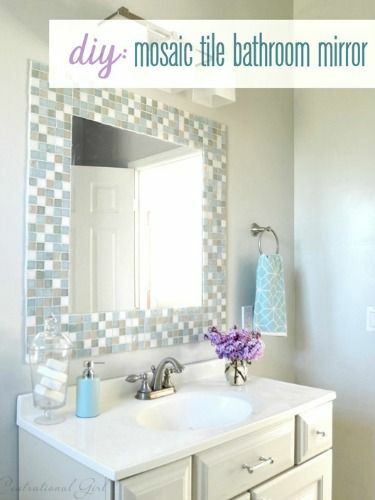 With a decorated mirror your bathroom will look bright and you’ll have the strong desire to look in this mirror again and again. 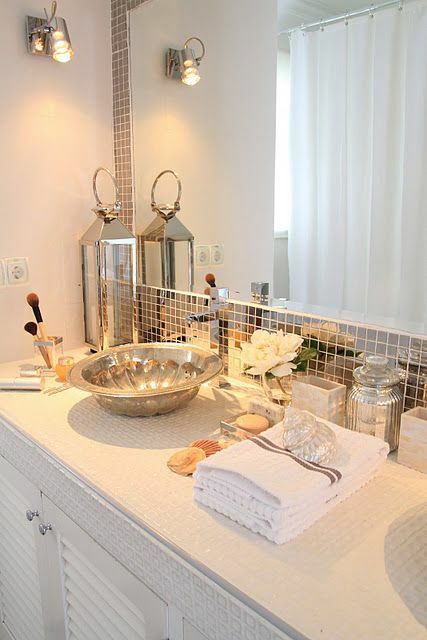 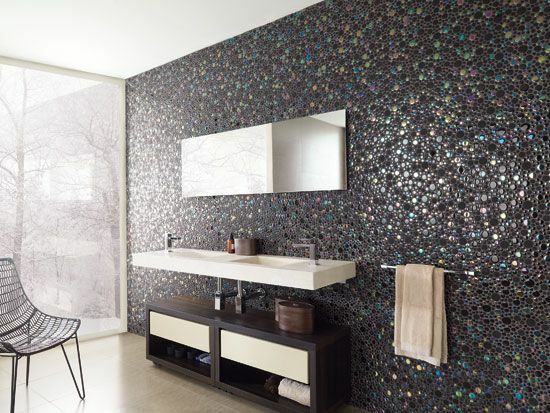 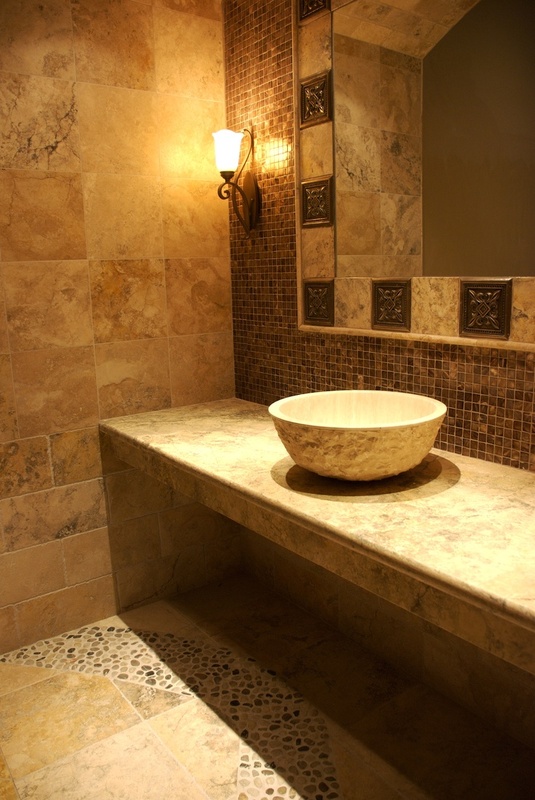 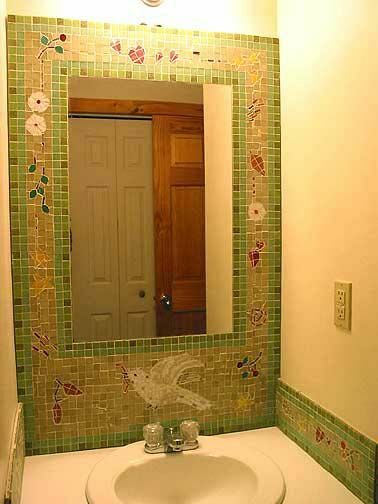 Among different types for emphasizing bathroom mirrors mosaic tile is the most commonly used way. 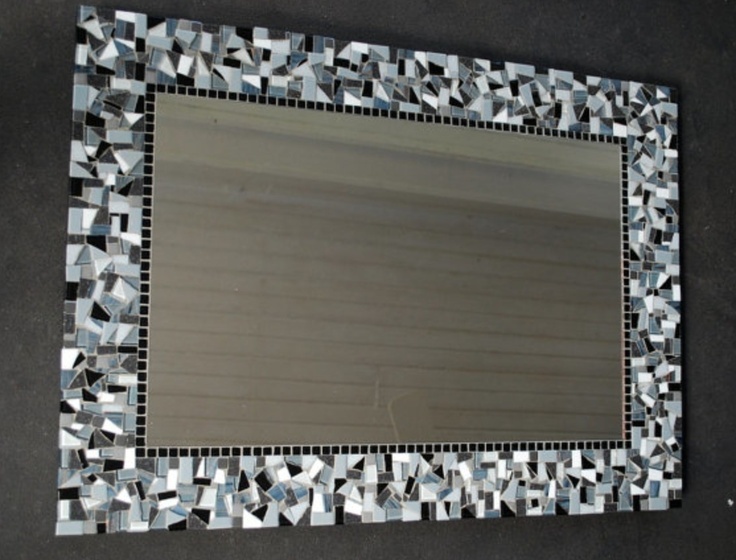 People use glass tiles of bright colors, metallic tiles and mirror tiles to lay a great emphasis on the mirror and make the room sparkle. 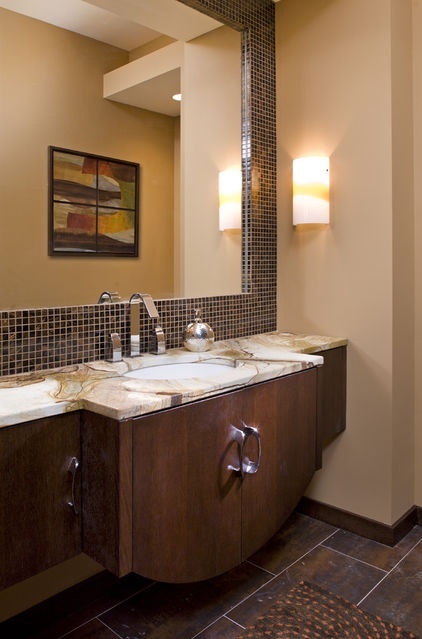 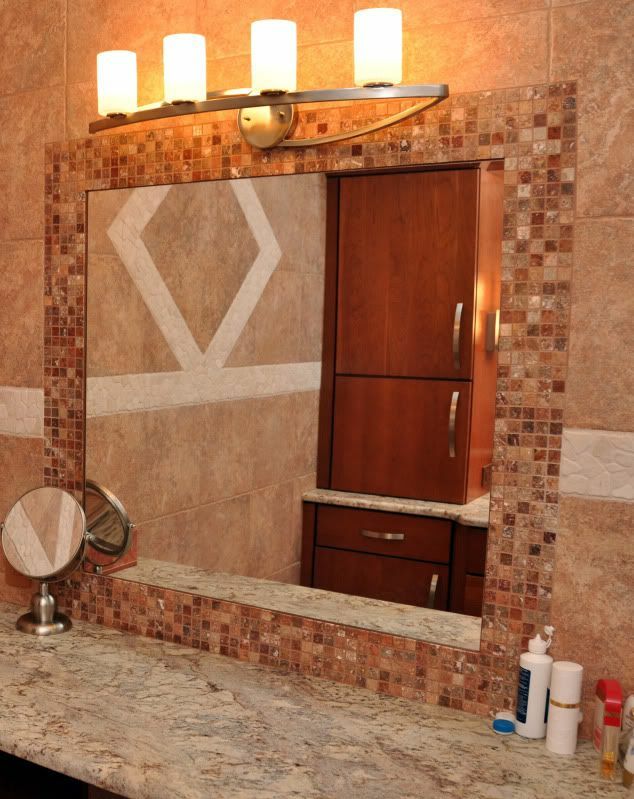 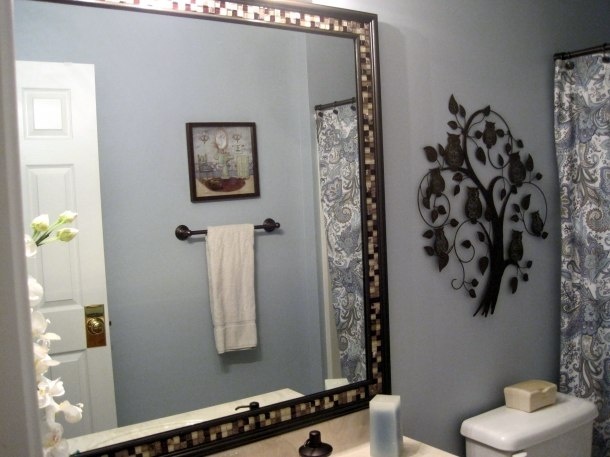 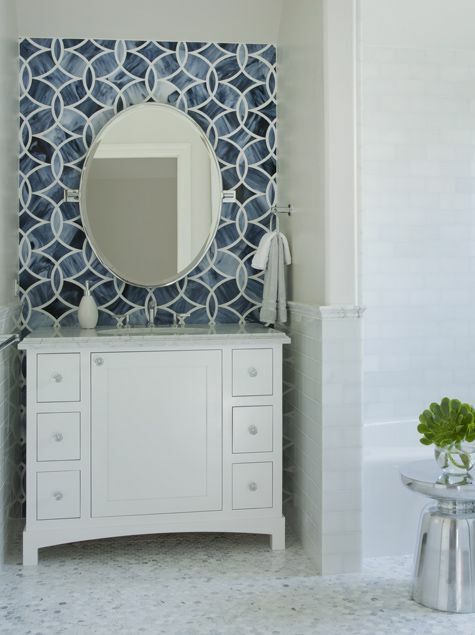 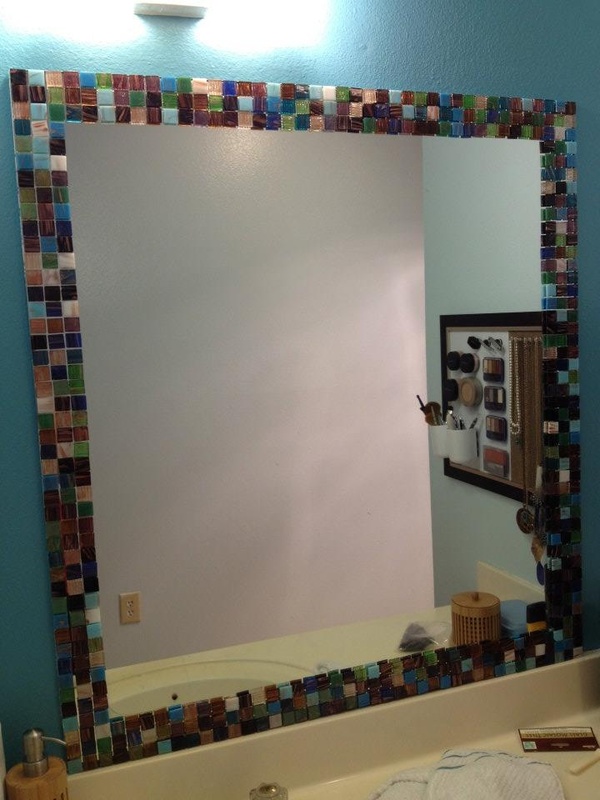 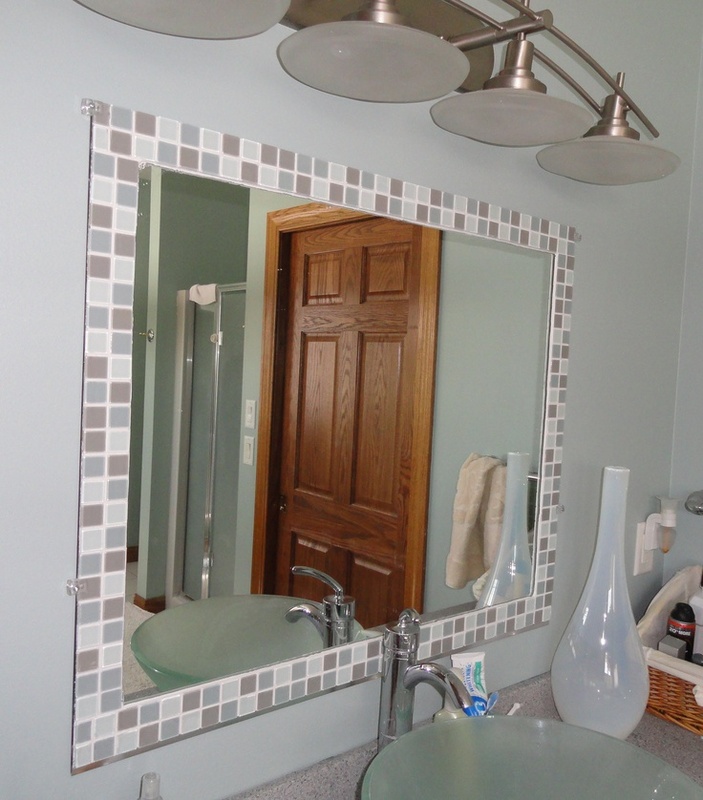 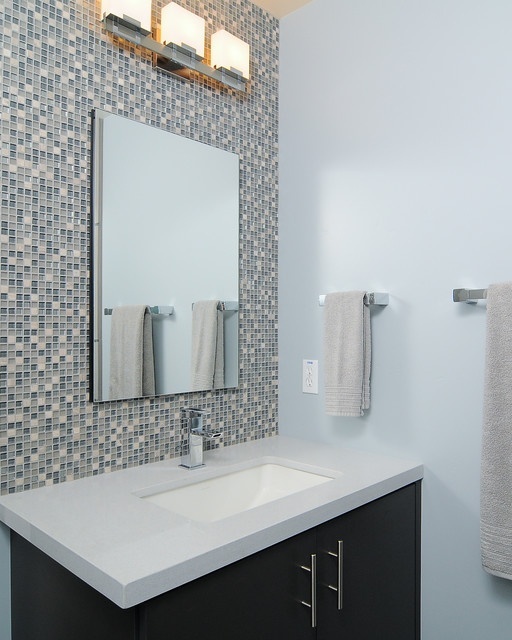 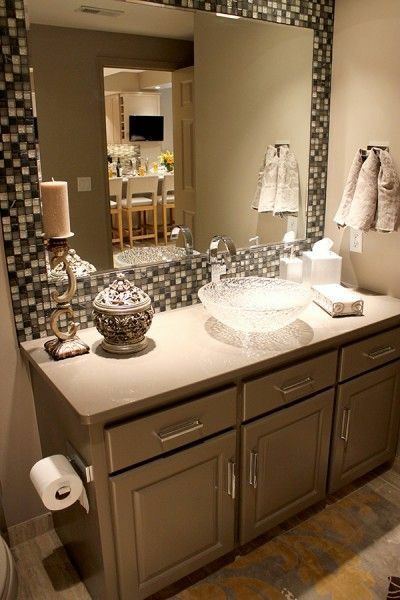 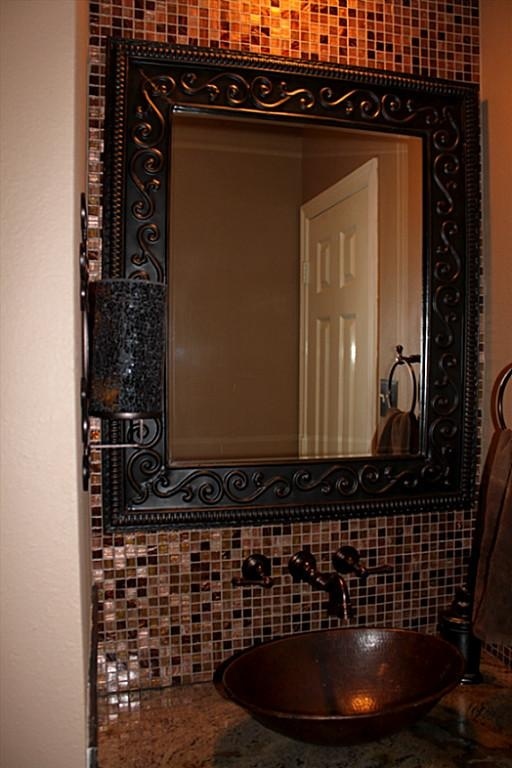 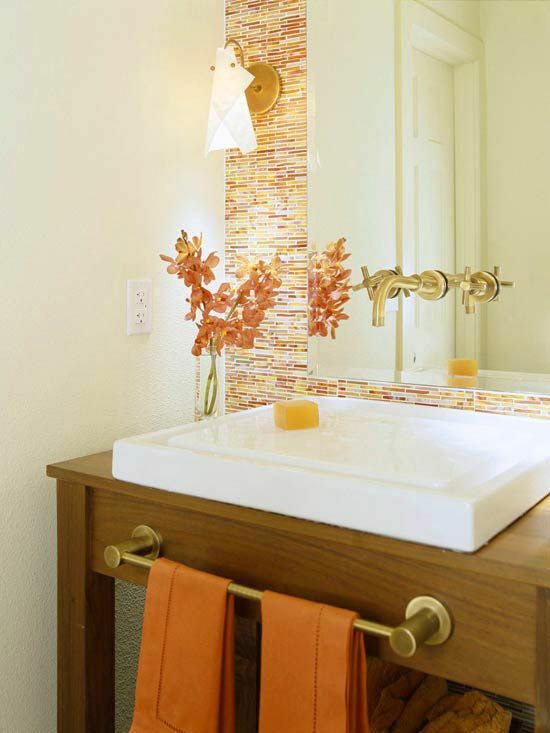 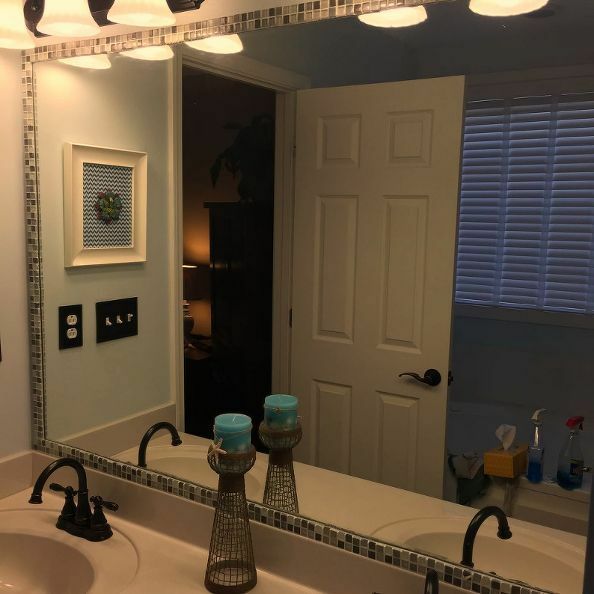 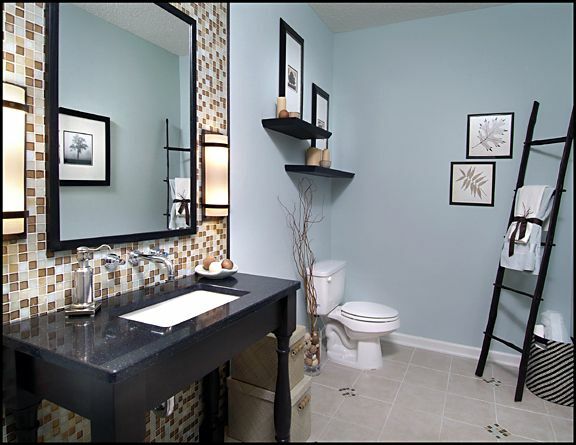 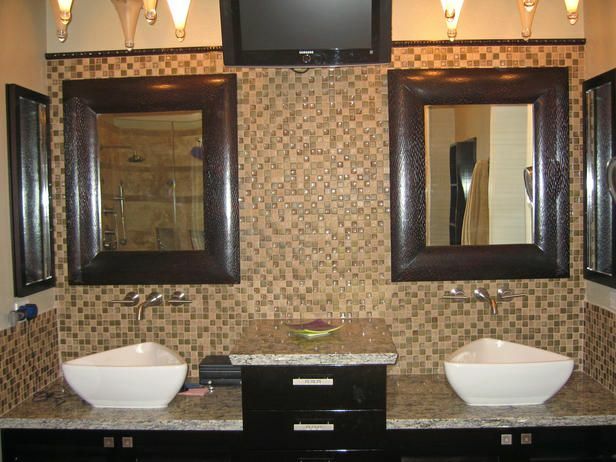 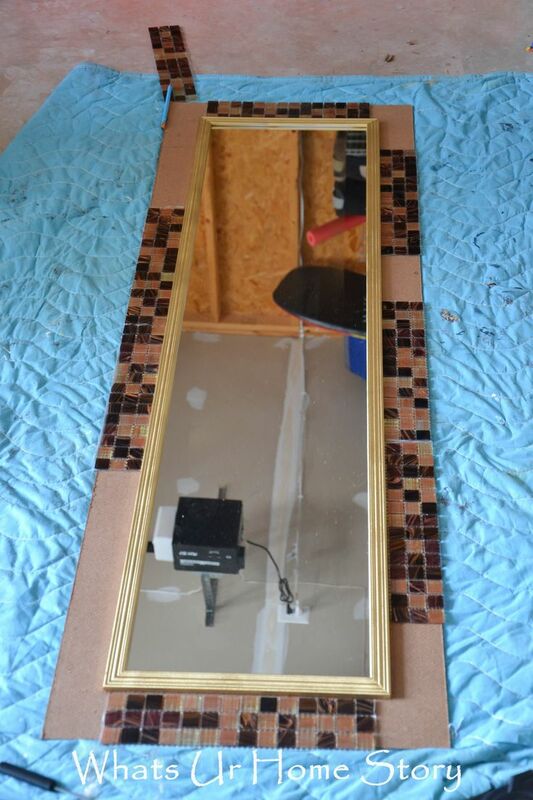 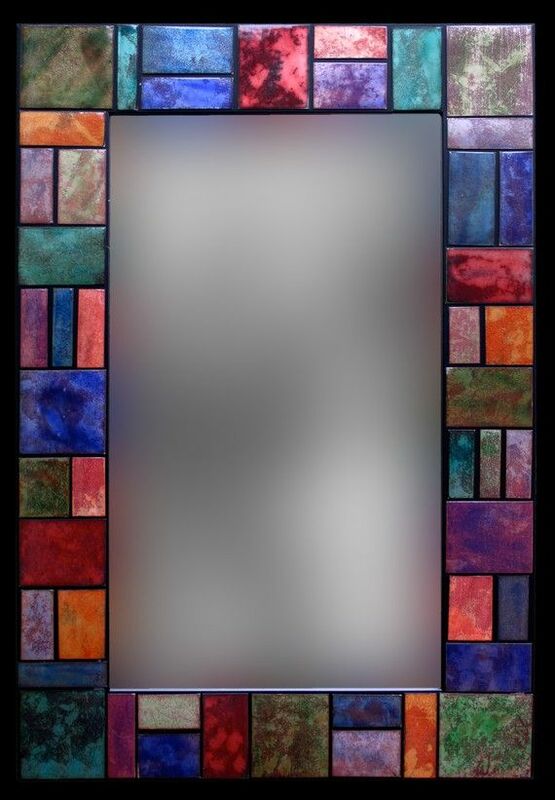 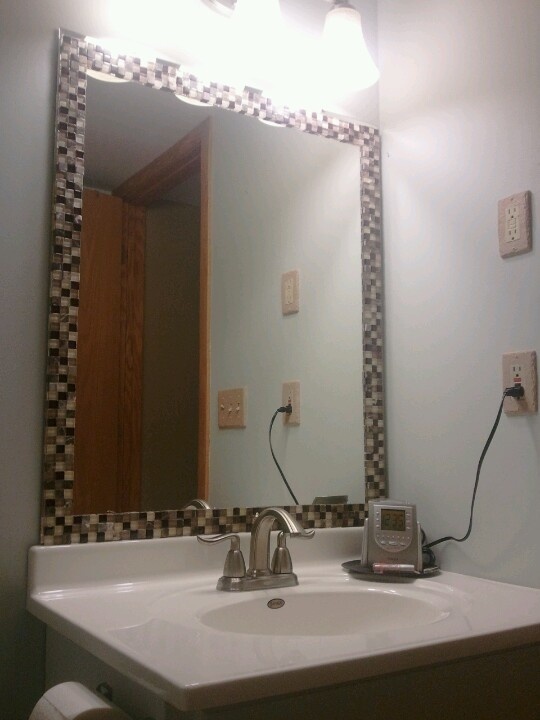 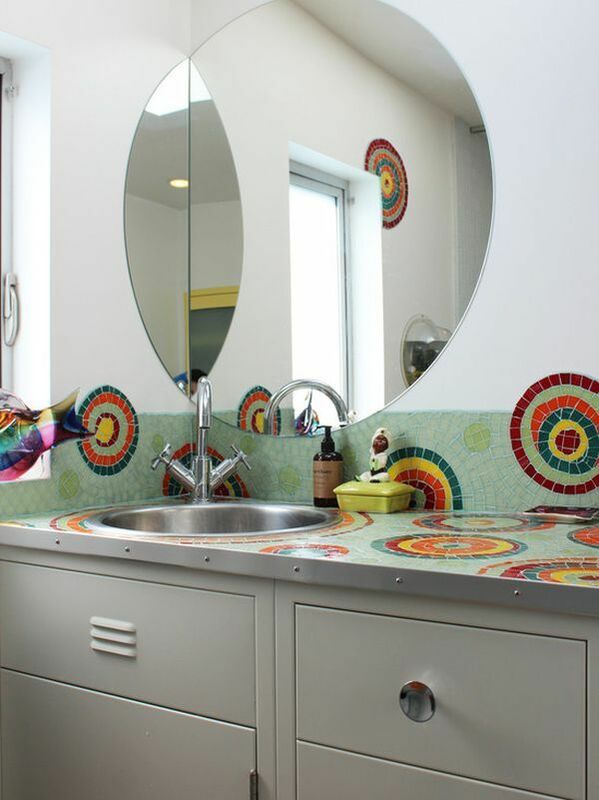 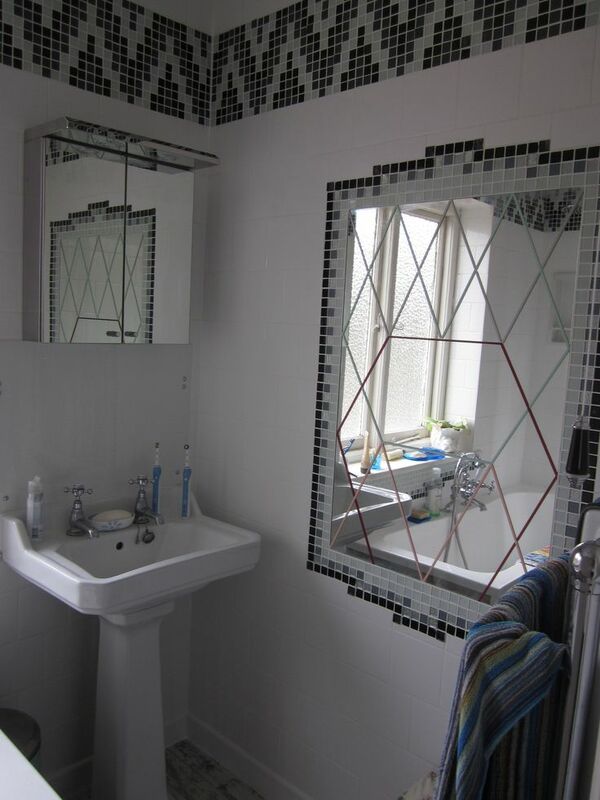 We have a small gallery of pictures showing mosaic tile around bathroom mirror. 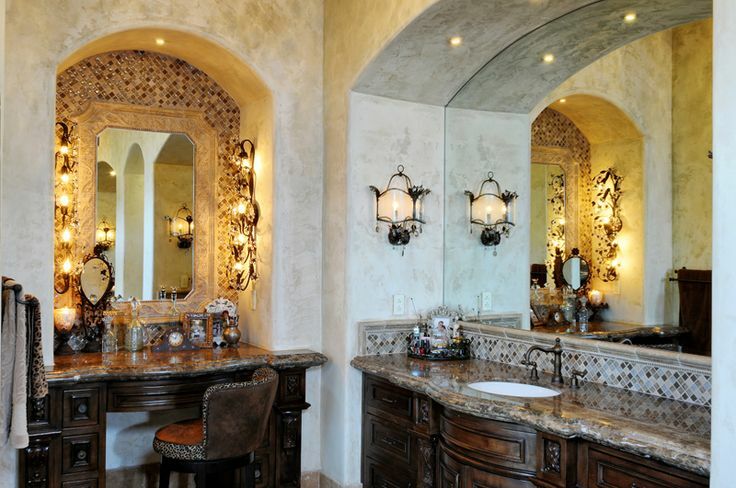 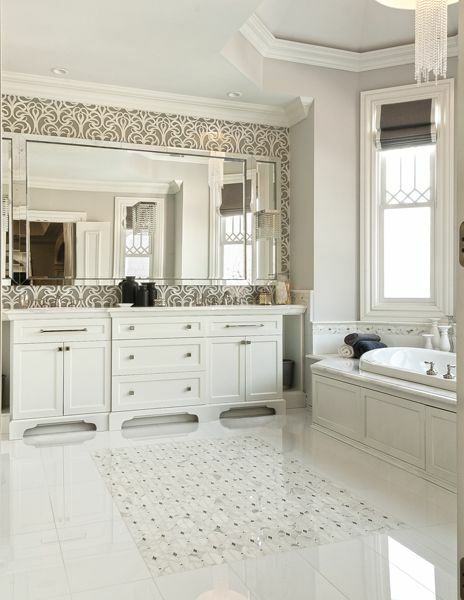 These ideas will help you find inspiration for your own bathroom design.